Give credit to the author or creator. Enable a reader to locate the sources you cited. Demonstrate the accuracy and reliability of your information. Show the amount of research you’ve done. Strengthen your work by lending outside support to your ideas. Automatic citation generators are also available via many of the library databases. citation generators are NOT foolproof! It is strongly recommend that you check your citations generated by these tools by reviewing the online APA or MLA style guides, our print citation style handbooks/manuals kept at the Reynolds Libraries reference desk at any campus, or ask a Reynolds Librarian for help. Create a free account and your citations can be saved and accessed from any computer; Supports APA, MLA and Chicago styles; Create and save multiple bibliographies; Automatic lookup of journals, books and webpages; Copy & paste or export citations to MS Word; Also includes in-text citation generator with guide. Created and maintained by Alan Cole. Create a free account and your citations can be saved and accessed from any computer; Supports APA, MLA and Chicago styles; Create and save multiple bibliographies; Copy & paste or export citations to MS Word. Created and maintained by the Hekman Library at Calvin College. Just need one or two quick citations? 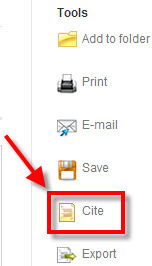 No account/login required -- simply copy & paste generated citations into your Word document. Supports APA, MLA and Chicago styles. Note: citations are not saved and cannot be exported to a word processor using this version of the tool. Build a bibliography from any computer or device, without creating an account or installing any software. Use the Link to this version option to upload a copy of your bibliography to zbib.org and generate a direct link that you can save to retrieve that version of your bibliography later on a different computer or device. Supports APA, MLA and Chicago styles. Automatic lookup of articles, books and websites using DOI #s, ISBN #s and URLs. Copy & paste or export citations to MS Word. Citation generators for APA & MLA are also available via the library catalog and many library databases. 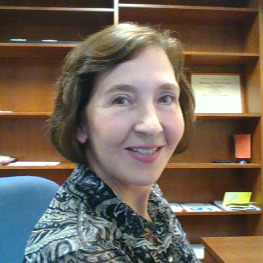 Ask a Reynolds librarian about specific databases that provide a citation generator. When you select a book or article you are interested in, use the citation tool to automatically generate a citation in APA or MLA format. 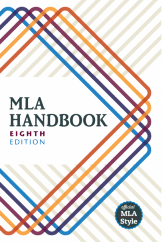 The most recent copies of the MLA Handbook and the APA Publication Manual are kept at the Reference Desk of each campus library and are available for your use within the library. Always check with your instructor on what format specifications to use for a particular class or assignment, especially when citing electronic resources including material found in library databases.